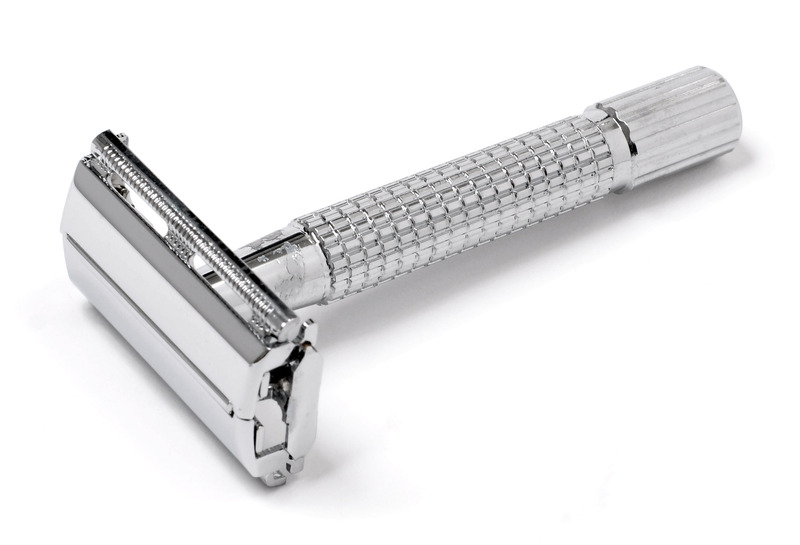 Do you really need four blades on your razor? I might be talking mostly to guys here, but maybe you gals have the same problem. I’ve been shaving with a two-bladed Gillette Sensor Razor for about ten years. (I think it’s been ten years but time starts to warp after age sixty). I’m sure the Gillette Razor Blade Company hates me, and in fact, I think lately they’ve been doing something shady to move me up to a more expensive blade. The Sensor blades I bought recently aren’t as good as the ones I used to buy. They don’t last more than a few days. I think blades that cost $1.80 each should last for a week. The “old” ones did. The new ones cut my face if I’m not careful. And they’re even a different color. I think Gillette has outsourced the Sensor blades to a manufacturer they very carefully researched to find the cheapest alternative with a reputation for making slightly inferior blades. I say “slightly” because Gillette doesn’t want a consumer rebellion on their hands. They just want to irritate guys (and maybe gals) like me enough to move up to the four-blade turbo charged product that sells for about thirty-two bucks and change for a box of ten. That’s something like three bucks and change per blade. Are you getting my message? I’m not going to be shamed or cajoled into buying more expensive blades. I’m going to fight this. My first response to this situation has been to buy a standard razor, the old-fashioned kind your Mom or Dad used. I get a closer shave, but I’ll admit it’s a little scary. I have to be really careful. It’s a lot easier and safer to use a modern plastic razor. And I have to use my Sensor razor to get the spot right under my nose. So now I’m using two razors. The blades that come with my new old-fashioned razor cost seventy-seven cents each. That’s a big savings over the new improved technologically advanced models. But the problem is that now I have to use two razors. I clearly can’t go on using two razors. Conclusions: I’ll have to go on using some version of the lower priced “modern” blade. I’m not going to fall for the lure of the four-blade model because I’m sure this “advanced” technology exists solely to satisfy the thirst for increased corporate profits.